Picardy Place can’t be designed purely to meet the needs of developers. Getting the Picardy Place development right is key for our Capital. It will act as a gateway to Edinburgh’s World Heritage Site, and will also set the tone for the kind of city we want our Capital to be. Edinburgh is a growing city. By 2050 it will have grown by 25% and it is important that this growth is undertaken in a way that maintains, or ideally improves, the quality of life we currently enjoy. Indeed, Edinburgh must be a liveable city. That means governance, healthcare provision, culture, environment, education and infrastructure must all contribute to a good quality of life. Picardy Place is a key part of this. It can’t be designed purely to meet the needs of developers. That would be just as silly as designing it just to meet the needs of motorists. It must be designed for people – jobs, walking, cycling, driving, public transport, culture and wellbeing. On reading Tory Councillor John McLellan’s views on Picardy Place I can only assume that the rumours are correct about him visiting the St James Quarter developer just before Christmas. He focuses on their view, and seeks to represent the problem as being a battle between unnamed “investors” and the City of Edinburgh Council (Opinion, 28/12/17). Incredibly, he’s critical of Councillors like myself and Karen Doran who dare to listen to the views of residents to ensure Picardy Place meets their needs and aspirations. Unbelievable. I’d advise Cllr McLellan to spend less time hobnobbing with developers and more time listening to the people that elected him and his chums to the City Chambers. A more balanced view, would actually help inform the debate and ensure we get this key decision right. My feeling is that we should do all we can to engage everyone in a positive conversation about what’s possible. One that seeks to integrate Picardy Place and the St James Quarter into the wider discussion about ensuring Edinburgh remains one of Europe’s greatest capitals. The discussion needs to focus on more than the movement of cars and the needs of developers. We need to think about place making, wellbeing and the economy. 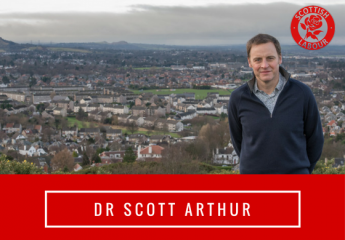 We need to think holistically about ensuring Edinburgh is a liveable city. ← Volunteering in Edinburgh should not have a dark underbelly.